This is really heartbreaking and heartwarming story – a woman from California named Joan Bremer was almost seven weeks into her first pregnancy when she was told by her doctor that she was having a miscarriage. Now she’s talking about how she got through the emotional experience by getting a special tattoo. So, the heartbroken mom wanted to do something to remember her unborn child. She couldn’t just let them be forgotten. 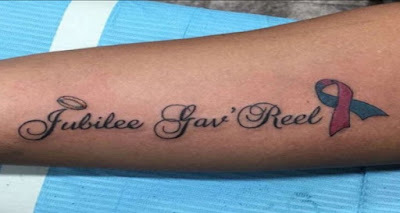 She started an online search for the perfect tattoo to express her grief. And then, Joan found the most beautiful image. The tattoo is of a single line connecting two hearts. 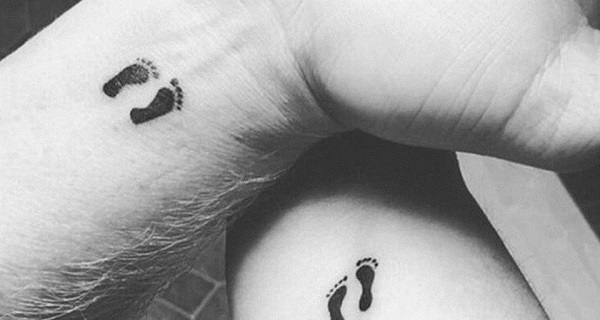 She had the tattoo completed just a few days after her miscarriage. “If we are able to carry a baby to term and have a healthy child, I will add a rainbow baby to this design since ‘rainbow babies’ are babies that are conceived after a loss, just like how something beautiful can come after a storm. After that, she posted a photo of the tattoo on social media. The post has since gone viral, causing women to share stories of their own experiences with pregnancy loss with Bremer. Thanks for reading and don’t hesitate to share this story with your friends and family. Thank You and take care!